It’s like this: Yawn. Tired. Sheep. Beige. Brown paper bags. Plastic. Environment. Global warming. Hot. Air conditioning. Yawn. Tired. Long day tomorrow. Must sleep. Hungry. Breakfast. Packed lunch for tomorrow? Lunchbox. Brown paper bags. Plastic… Here we go again! The ‘no sleep’ cycle is one that does not end on sleepless nights, which the NHS of England, says could have serious health effects. According to the Center for Disease Control and Prevention, one in three adults is not getting the required amount of sleep which is, as advised by Dr. Eric J. Olson, from Mayo-Clinic, seven to nine quality, uninterrupted, hours per day. When you cannot sleep, and you have already counted enough sheep to render you a farmer, your related anxiety level might make it harder to sleep. Try one of these five techniques tonight. Even a deep sleep can leave your eyes feeling as though they need an optical pick-me-up. You have to sleep, so your automatic reflex is to close your eyes. But that may not be what will take you to dreamland. A small University of Glasgow study found that people suffering from an inability to sleep actually fall asleep sooner if they lay with their eyes open. Does This Mean You Might Fall Asleep On The Subway? It actually is possible, as supported by every onlooker who watched that person swaying side-to-side before they finally scored a heavy snore and jolted themselves awake. This is also the reason for driving breaks on long-haul roads as a way to offer drivers a refreshment if they stop and revive to survive. Given that the clock for many is the phone, this should be done anyway. The more you stare at your clock, the more you stress yourself out which leads to less sleep. Where To Hide Your Clock? You obviously need to be able to hear the alarm so it has to be somewhere within ears reach. 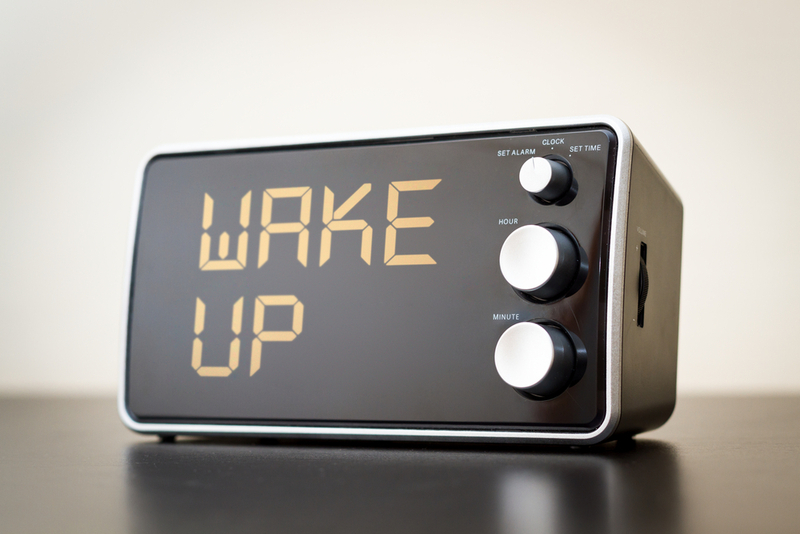 The best thing to do is to purchase an actual alarm clock, separate from your mobile phone, and turn all lights on it off or face it away from you. Did you know that even while you’re asleep, your brain is busy at work? Keep your brain as healthy as you can with these habits. A commonly used breathing and relaxation technique in yoga, the “4-7-8” technique is said to get you to sleep in sixty seconds if you do it when you are laying down in bed. 4: With your tongue on the tissue inside your mouth above your front, upper teeth, breathe in through your nose for 4 seconds. 7: Hold your breath for 7 seconds. 8: With a whoosh, breathe out deeply for 8 seconds. Start counting backwards, by the third round, you may feel drowsy enough to knock out to sleep. Your internal thermometer runs the show and to begin heading down the sleepy path, your body will drop a lower temperature, say researchers at Harvard Medical School. What Temperature Should I Set My Air-Conditioner For The Best Night’s Sleep? The National Sleep Association recommends that you sleep with your room temperature between 60 and 67 degrees Fahrenheit. When you go on a plane and fly business or first class, you are normally given a toiletries bag. It’s that little bit of extra glitz for the ride. In some airlines, you will receive a small ‘sleep spray’ to help you doze off to sleep. That spray is lavender scented. 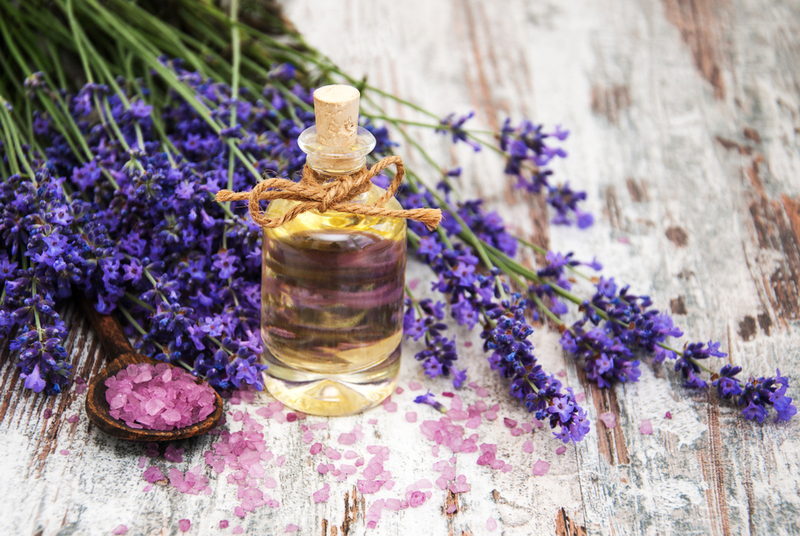 The scent of lavender is calming and soothing so by being in this state, you tend to fall asleep more easily. A good night’s sleep is worth its weight in gold. A great night’ sleep is worth its weight in princess cut diamonds. 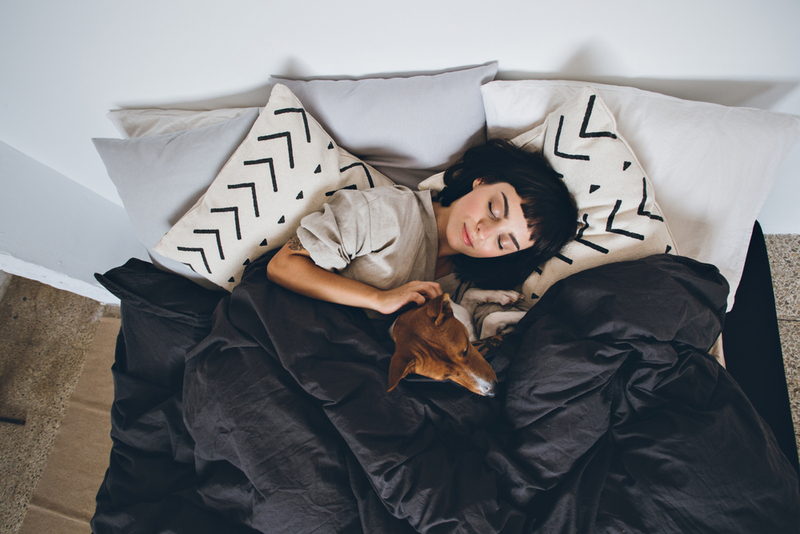 Up your hours with these tricks and welcome the Sandman every night. To shop for everything you need for a cozy snooze, shop via dubli.com and earn Cash Back!